These little Mini Cranberry Orange Bundt Muffins are a great way to start your day. Of course, they are just as tasty as a dessert also. 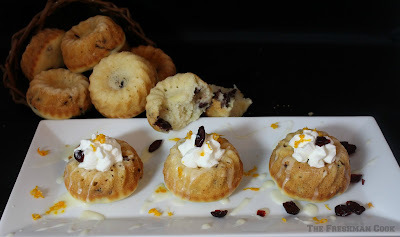 I used the Orange flavored Cranberries from Trader Joes to make these cuties. 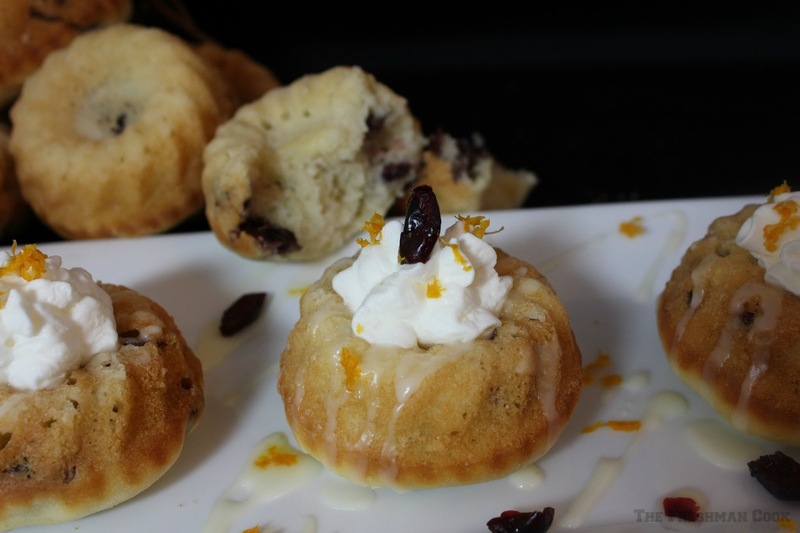 The orange mixed with the cranberry flavor gives these muffins a great taste with a little less tartness. I dressed up three of the muffins for dessert by adding an orange juice drizzle, fresh whipped cream and some orange zest. I left the others for breakfast and snacks! This type of pan takes a little extra prep before you can pour the batter in. 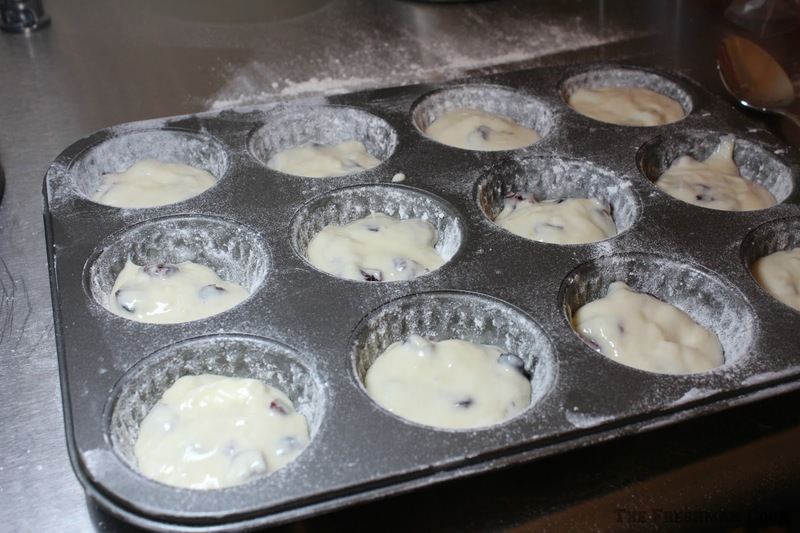 You can use any pan you want, and a cupcake pan will work just fine. I have found that the best way to grease this type of pan is with a pan spray or solid shortening and a paintbrush that I use only for cooking. Here I used the pan spray and sprayed it in to each mold. Then I took the paintbrush and brushed it over every nook and cranny of the mold, covering it with pan spray. 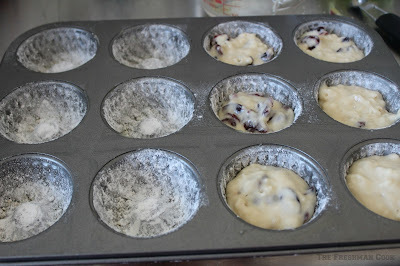 Place 1 tablespoon of flour in each mold. Move around to coat. 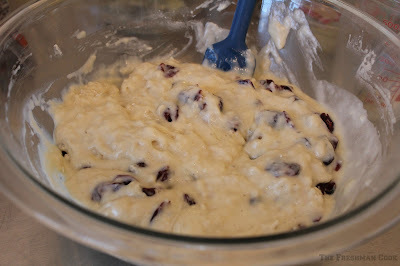 If some spots are not sticking, add spray from your brush and re flour. 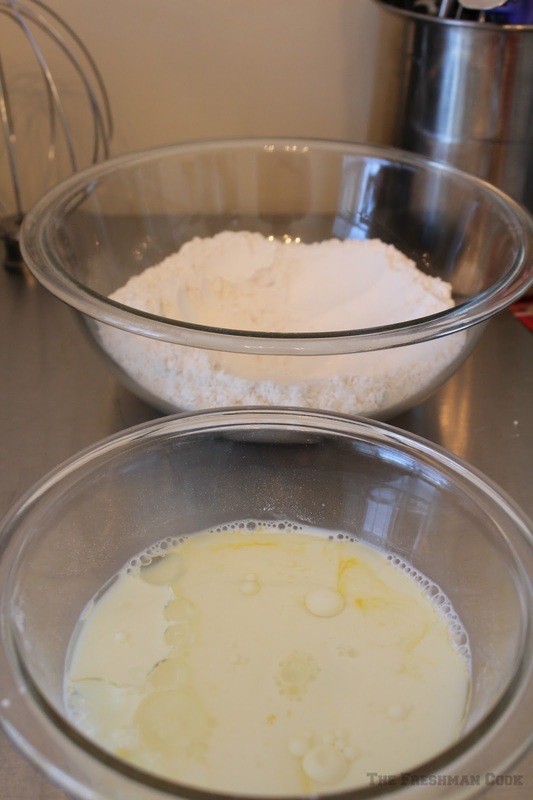 In one bowl mix together the flour, sugar, baking powder and salt. 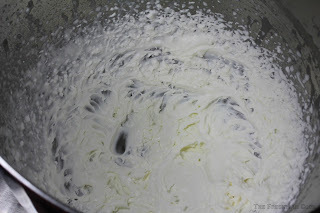 In a separate bowl mix together the egg, milk, and sunflower oil. 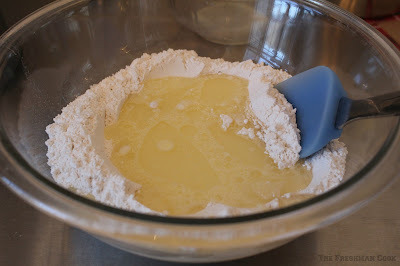 In the bowl with the flour, make a well in the center and pour the egg ingredients into the well. Stir until moistened, but do not over mix. The batter can be lumpy, but over mixing can cause the texture to be tough. Add the cranberries with the orange flavoring by folding them into the batter. Place the batter in to the pan, about 2/3 full. Bake for 10-15 minutes, and check with a toothpick. 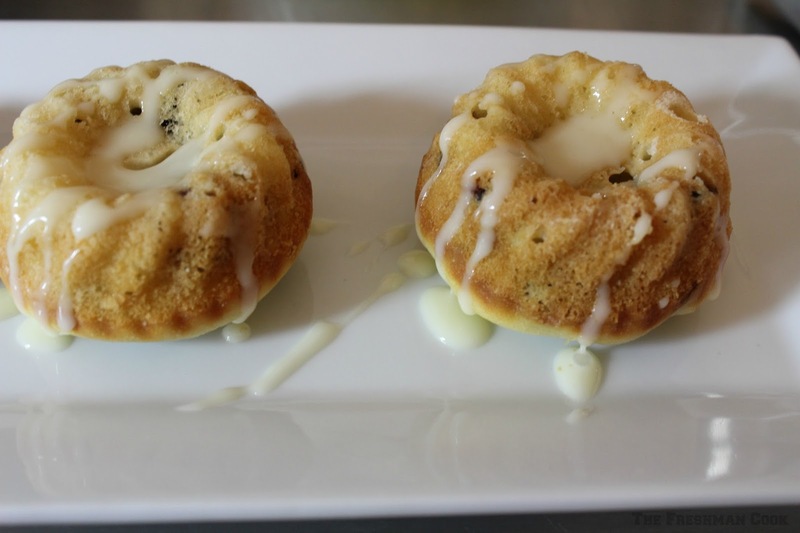 Use a toothpick to loosen the muffin from the pan. Let sit for 5 minutes in the pan, and loosen again with the toothpick. Remove from pan and let cool completely. Make an orange drizzle by mixing the 1/2 cup of powdered sugar with the orange juice. Just whisk it together. 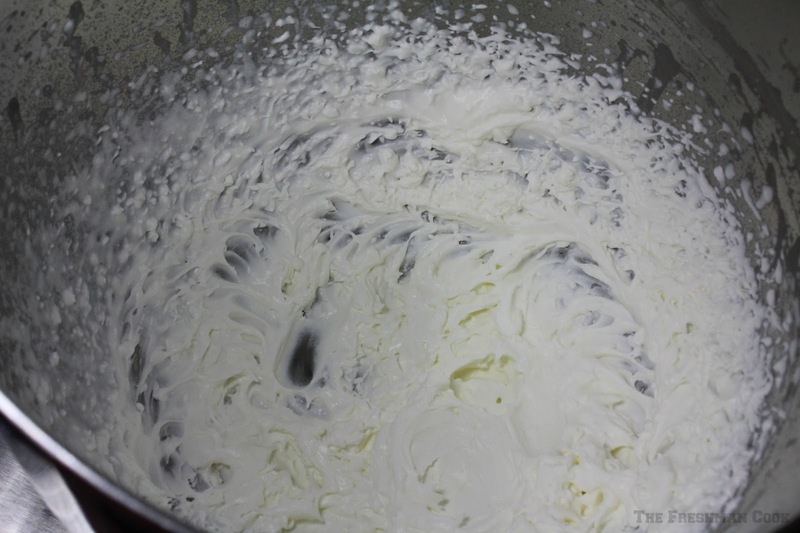 Make some homemade whipped cream by mixing the whipping cream on high for a minute and then adding 1 tablespoon powdered sugar. Continue whipping on high until stiff peaks appear. 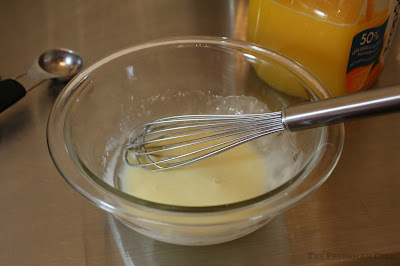 then add a dollop of whipped cream and some of the orange zest. Enjoy your Mini Cranberry Orange Bundt Muffins!